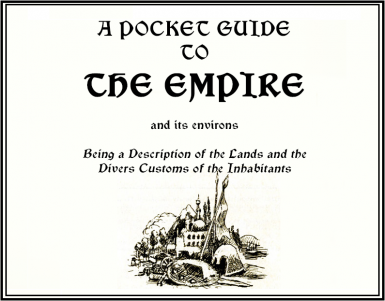 Simpy adds a books from “Pocket Guide to the Empire” series to the game. You are not allowed to use or reuse this mod or any of its assets in pay mods. You are not allowed to upload this mod or any of its assets on paysites. You are allowed to use this mod or any of its assets in your free mods without asking me for permission. Just let me know. You are allowed to translate this mod without asking me for permission. Just let me know. You are allowed to port this mod into Xbox One version if you like and publish it on Bethesda.net. Just let me know. This very simple mod adds books from Pocket Guide to the Empire series to the game. There were three editions of the Pocket Guide – first and third ones are complete, only one book from the second edition remained. 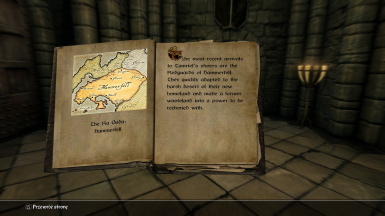 Books from the third edition, commissioned at the end of the Third Era by Emperor Uriel Septim VII, are a common item which can be found as random loot or in vendors stocks, as well as in game world. 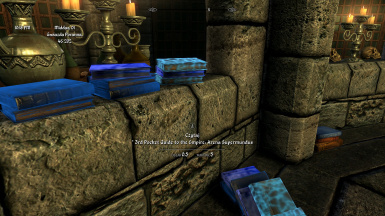 Books from first edition, written and the end of the Second Era and commissioned by Tiber Septin, are rare – only one copy of each tome exists in the game world. Because they are really long, most of them had been split into two volumes. Tomes from first edition serve as skill books. 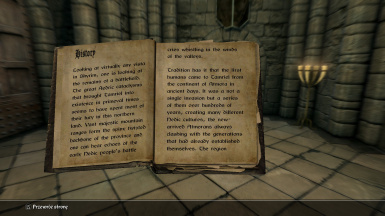 For example, in the character creator Nord have +10 points to Two-handed Weapons, so book about Skryim from first edition adds a point to Two-handed Weapons, book about Cyrodiil adds a point to Restoration and the one about Aldmeri Domionion a point to Illusion etc. Wild Regions gives +1 to Speech. Only the first volume serves as a skill book – the second one is a regular books. Modification also adds one volume from the second edition. As The Elder Scrolls Wiki states: “while its canonicity is somewhat disputed, it must be acknowledged in some way.” In order not to negate the lore of the universum, notes about the dubious quality of this edition was introduced into this mod. If you have no luck looting books from the third edition, search the inns! For example, book about Hammerfell will be in tavern run by Redguard, while book about cosmogony in tavern with moon and stars. This principle works in most cases. Alternatively, you can steal it from the Arcanaeum in Winterhold College. Copies of the first and second editions are not buried in the deepest depths. Logic is similar to the third edition. Who would be interested in an old volume about Aldmeri Dominion? Most likley someone from the Thalmor Embassy. But if you don’t know where to find them or you do not want to find them on your own, check Urag gro-Shub’s journal in the Arcanaeum (under his desk). Modification should be fully compatible with most of the mods. The problem may be at most modifications which drastically change the decor of the inns or the Arcanaeum. Either use the NMM, or for manual installation copy the content of the archive file into your Skyrim/Data folder. All texts and was created by game developers from Bethesda Softworks. The Elder Scrolls Wiki – for clearly marking all errors in the original texts. Those errors have been corrected for this mod purposes. Rafa&lstrok; Imielski – for checking and correcting the in-game texts I wrote for this mod in English. 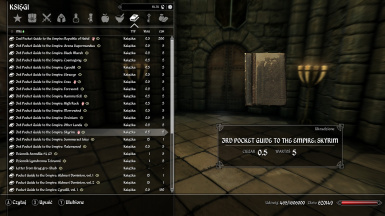 I wish to thank DanielCoffey whose modification Book Covers Skyrim – Lost Library was the inspiration to create Pocket Guide to the Empire.